Billy has been having a great time playing a demo of Nintendo's next highly-anticpated 3D platforming game, Super Luigi Odyssey. One challenge in the game sees Luigi trapped in a long hallway, which can be represented as a number line with positions increasing towards the rightwards direction. There are N (1 ≤ N ≤ 250,000) platforms in it, with the i-th one at position Pi (0 ≤ Pi ≤ 109) and at a height of Hi (1 ≤ Hi ≤ 109) metres. No two platforms are at the same position. Luigi begins on platform 1 (note that this is not necessarily the leftmost platform). Much to Luigi's concern, the hallway is filled with some deadly lava. Initially, the lava reaches up to a height of 0.5 metres. At any point, a platform is considered to be submerged in lava if the lava's height exceeds the platform's height. A sequence of M (1 ≤ M ≤ 250,000) events will then occur, each having one of three possible types. The type of the i-th event is described by the integer Ei (1 ≤ Ei ≤ 3). If Ei = 1, then the lava's height will increase by Xi (−109 ≤ Xi ≤ 109) metres. It's guaranteed that this will not cause the lava's height to become negative. If this causes Luigi's current platform to become submerged, then he will immediately perish. If Ei = 2, then Xi (1 ≤ Xi ≤ N) lasers in a row will be fired at Luigi. Each laser will force him to jump to the next non-submerged platform to the left of his current one. If there's no such platform, then he'll instead be forced to jump into the lava and perish. If Ei = 3, then similarly Xi (1 ≤ Xi ≤ N) lasers in a row will be fired at Luigi, with each one forcing him to jump to the next non-submerged platform (if any) to the right rather than the left. Luigi is not allowed to move between platforms aside from being forced to by type-2 or type-3 events. 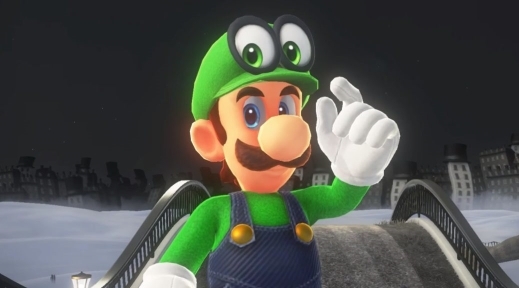 Even if Billy manages to keep Luigi alive through all M events, he may not be out of the woods yet — his success in later challenges will depend on how much of Luigi's energy has been spent. Whenever Luigi jumps from platform i to platform j, he expends |Pi − Pj|K (1 ≤ K ≤ 2) units of energy. Note that the amount of energy required doesn't depend on the platforms' relative heights. Help Billy determine how much energy Luigi will expend throughout all M events (if he will even survive that long). As this may amount to quite a few units of energy, you only need to determine the total modulo 1,000,000,007. In test cases worth 6/39 of the points, N ≤ 2000, M ≤ 2000, and K = 1. In test cases worth another 16/39 of the points, K = 1. N lines follow, the i-th of which consists of two space-separated integers, Pi and Hi, for i = 1..N.
M lines follow, the i-th of which consists of two space-separated integers, Ei and Xi, for i = 1..M.
Output a single integer, the total number of units of energy which Luigi will expend (modulo 1,000,000,007), or −1 if he will be forced to touch the lava and perish at any point. In total, these jumps require 32 units of energy (which is equal to 32 modulo 1,000,000,007). If K were equal to 2 rather than 1, then 186 units of energy would be required instead. In the second case, after the lava's height is raised to 1.5 metres, Luigi will have no non-submerged platform to jump to on his right, and so will be forced to jump into the lava and perish.